Police say they are increasingly concerned for the welfare of a ‘distressed and vulnerable’ man missing from Bosham. Paul Wilkins, 51, from M’tongue Avenue, Bosham, was last seen at an address in Bracklesham at around 9.30pm on Saturday, January 13, police said. 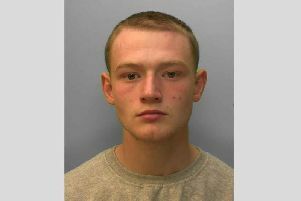 “He is thought to be in a distressed and vulnerable condition and may have travelled by car into neighbouring counties,” a Sussex Police spokesman said. Paul is described by police as white, 6ft 4in, of medium build, with greying dark brown hair. He has clear-framed glasses and when last seen was wearing a grey zip-up top and blue jeans. Police said he is known to be in possession of a silver Mini One hatchback car, registration LT06 GCO. Its last believed sighting was on the M27 eastbound near Swanwick, Hampshire, shortly before 1pm on Sunday (January 14). Anyone who has seen Mr Wilkins or who may know of his whereabouts is asked to contact Sussex Police online or phone 101, quoting serial 527 of 14/01.